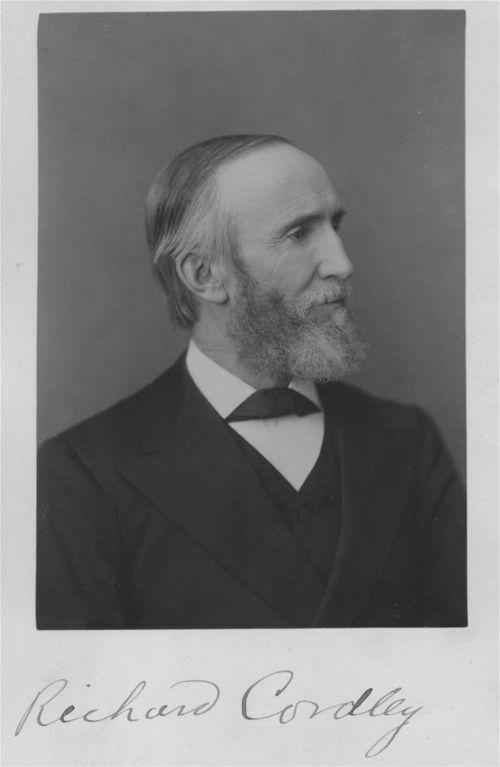 A portrait of Richard Cordley, pastor of the Plymouth Congregational Church, Lawrence, Kansas, for thirty-eight years. Cordley preached his first sermon on December 2, 1857, and he remained as pastor until 1875, when he left for nine years to preach at Flint, Michigan and Emporia, Kansas. In 1884 he returned to Lawrence and continued as pastor of the Plymouth Church until his death, which occurred on July 11, 1904. At the time of the Quantrill raid, August 21,1863, his house and all its contents were burned, and he was one of the people marked for death, but he managed to elude the guerrillas.